Self-publishing is NOT easy and anyone who has done it can testify how much hard work goes into publishing your own book. If you have all the technical skills and resources to do it, you can publish your book with little-to-no upfront costs. However, keep in mind that the less you know technically, the more it will cost you because you'll have to pay someone to do what you cannot. If you're really good at bartering and have other skills to trade, you might work this in your favor to save money. This article ONLY covers the technical aspect of publishing a book. Whether or not you sell your self-published novel depends on writing a good book to begin with, writing MORE books (never stop writing) and then marketing those books. Do you have the money to pay for an editor OR the ability to trade services? Is it necessary to have an editor? In my professional opinion, ABSOLUTELY! So many authors are putting their work out their without being edited and it is the primary reason why many readers/reviewers/bloggers won't touch a self-published book with a ten-meter cattle prod. If you want to be successful at publishing your book AND stand out in the sea of bad self-published novels, an editor is the first step to producing a quality product. NO author can edit their own book. We're just too close to the material. Even Stephen King said, “To edit is divine.” At a later date, I will publish a list of editors that are recommended by authors who are also inexpensive/affordable. Do you know how to use MS Word? Most authors will answer “yes” to this question, and I know it seems like a no-brainer. This is the most common word processor used by authors for writing their manuscripts. Though OpenOffice.org does indeed create a free word processing tool, you still have to save your files in the *.doc file format. However, you should probably feel very comfortable enough with your word processor to know how to use Track Changes, page breaks and section breaks, modify page layout options, and change the metadata of your file. Do you know how to use Styles in MS Word? Styles will not only save you time, but they'll help you keep your document free of clutter, from a technical perspective. In short, any formatting you apply to your words (e.g., italics, centering, bolding, font size, etc.) has a default MS Word Style attached to it. Styles will help keep that formatting uniform and if you need to make changes to the font, for example, ALL of your text will reflect that change if you do so in Styles instead of having to comb through the document to change all those instances. If you're still submitting to publishers, editors will LOVE you if you know how to use MS Styles. A lot of this might sound like Greek, so I recommend visiting the YouTube.com tutorials to learn how to work with Styles in MS Word. If your file has a lot of clutter in the background (technically speaking), it will be rejected by KDP, Lulu and Smashwords and you can't publish your book. Are you familiar enough with the Internet to upload files and fill out forms? One would think most people are, but one would be surprised to learn how many people are not. As an ex-software instructor, I've come to understand that most people actually know just enough to get by and do their daily tasks. If I ask the question, “What browser do you use to get on the the Internet?” MOST people answer, “Google.” Google is not a browser…it's a search engine. My experience has taught me that the people who don't know the difference will probably have a difficult time self-publishing their books due to a lack of familiarity with the Internet and understanding programs as a whole. Do you have the ability to convert your book to PDF format? Let me clarify this question by asking, “Do you know how to format your eBook to print?” CreateSpace and Lulu have templates, but there is a slew of information to learn regarding how to get your book ready for print. Just visit this CreatSpace.com page as an example of the choices you need to make (e.g., trim size, full bleed, how many pages, the type of paper, glossy or matte for your cover, etc.). Do you know how to convert a PDF template into a working graphics file to create your cover? As an example, CreateSpace has an online tool to help you create a template for your book cover. You specify the type of interior, your trim size, how many pages and the color of your paper, and it spits out a ZIP file for you to download so you can create a cover that will have the proper trim size and spine width for your book. You then have to take one of the templates in the ZIP file and convert that in your graphics program to use it as a guide. You have to answer “yes” to question 1 in order to get the information to create your template. THEN you need to convert that graphic back into a flattened PDF file to be uploaded for publication. Whew! If you answered “no” to most of the questions above, then you should ask yourself one more question to determine if self-publishing is right for you: Do you have the money to pay someone to do all the above? This can get very expensive. 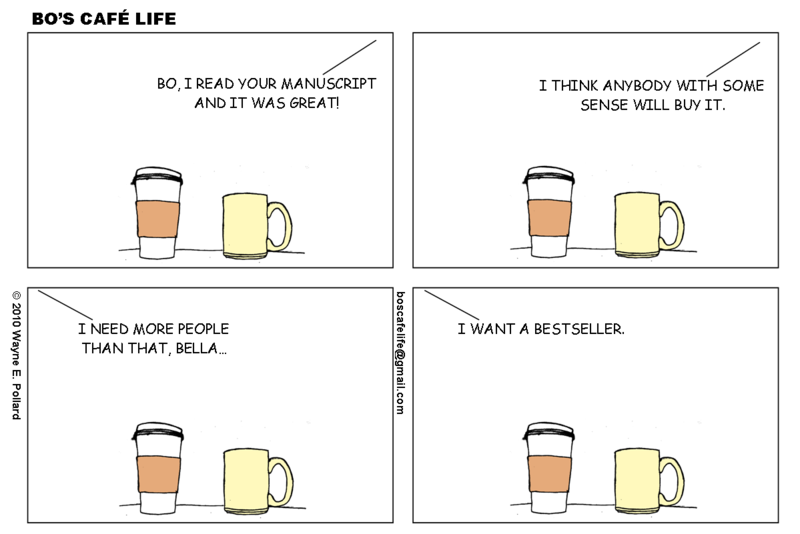 Self-publishing isn't for everyone. It takes technical skills, patience, resources and/or money to accomplish the goal of getting your baby into print. It's one of the reasons why publishers were created. Everyone self-published prior to the eBook age. What if Self-Publishing isn't for Me? If you still want to get your book published, you still have the wonderful option of going independent with small presses, ebook and independent publishers. And there is a plethora of publishers to choose from. This Directory of ePublishers is a great place to start looking for the right publisher for you. In another post, I'll cover some guidelines on what to look for in a publisher and why you can afford to be picky. I'll also provide links to some publishers with whom I'm familiar. The small and independent publishers are easier to approach than the Big Six. Though they may not offer an advance, you will have an editor and they will format your book, give it a cover and distribute the book for you. But you'll have less creative control. Not only will you NOT have to pay up front for their services as you would for self-publishing (more on that in a second), but you'll have the invaluable experience of being edited. THAT is an education in your craft all by itself without having to pay for it up front. By the way, ALL publishers charge you to publish your novels and don't let anyone tell you any different. Even the Big Six charge you. Of course, they've been telling us for decades that they publish your book for free. NOTHING in the publishing world is for free! The publisher does all the work to get your book produced. Then they sell your book. You get royalties. They get the rest. The money they get minus your royalties is how they get paid. Your royalties are only a small portion of the money your publisher receives for doing all the work, so don't let anyone tell you publishers don't charge you to publish your books. ALL publishers charge authors to publish a book, although they do take the chance that your book won't sell. But then neither of you will be paid. Self-publishing venues do the same. 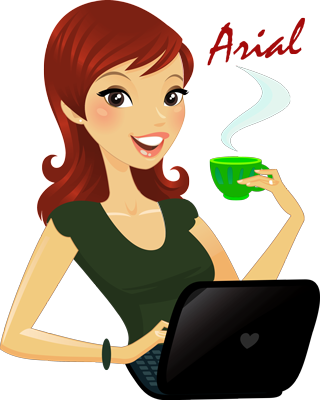 For example: If you publish through KDP, they pay you 35% if you price your book from 99 cents to $2.98 or $10.00 or more. If you price your book at $2.99 – $9.99, then you'll get 70%. What happens to the difference? Obviously, it goes into Amazon's pockets. Ergo, ALL publishing costs money…you just don't feel it because it doesn't drain your bank account. I know this was a long article, so thanks for hanging in there and reading to the end. I hope this was helpful and put self-publishing in perspective. PLEASE let me know if you have questions by leaving a comment below.